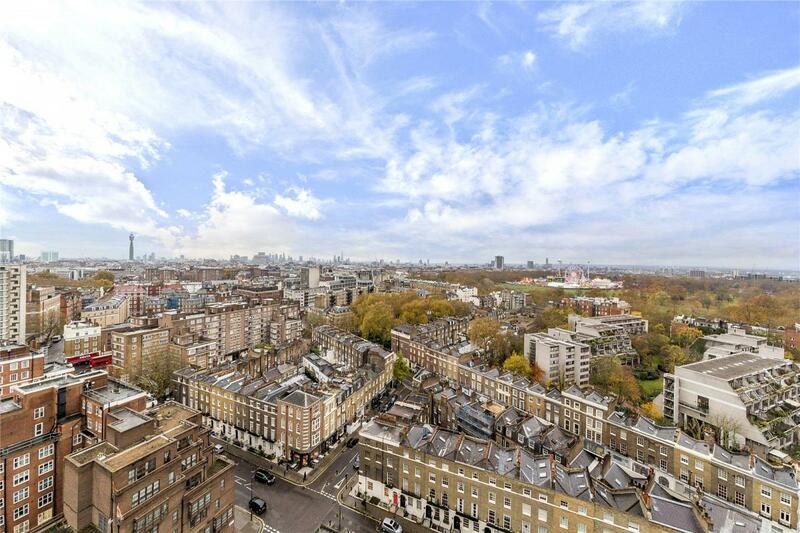 This property is located on the 16th floor of a portered block, is south facing & has the most amazing views of Hyde Park. This apartment is 831 sqft has wood floors and comprises two bedrooms, south facing reception, kitchen, two shower rooms and ample built in storage throughout. Porchester Gate is situated on The Hyde Park Estate near to the shops, cafes, restaurants & pubs of Connaught Village. Oxford Street, Hyde Park, Selfridges and The West End are all nearby. The closest transport links are Paddington Station (Overground, Underground, Heathrow Express and Crossrail -2019) and Marble Arch Underground Station. "This property is located on the 16th floor of a portered block (24hr), is south facing & has the most amazing views of Hyde Park."